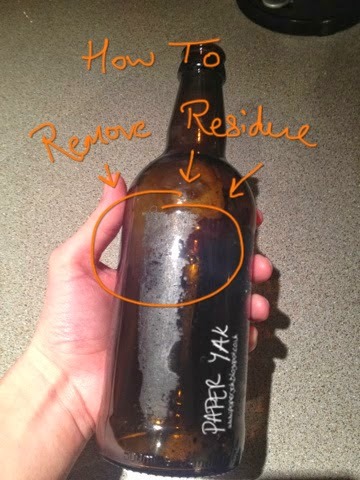 Paper Yak: How To: Clean labels off bottles! How To: Clean labels off bottles! 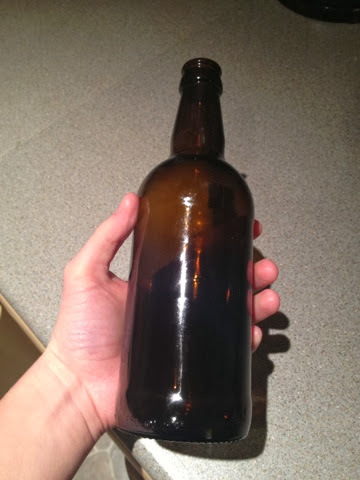 Greg has recently taken up brewing beer so we have been saving up a lot of old beer bottles for him to re-use and we have to take the labels off them. 1) There are two types of glue, water based and oil based. 2) You can spot water based glue as when you leave it in water, the label miraculously soaks off - easy peasy! 3) Oil based glue is the stuff that doesn't come off when you soak it in water and I used to scrape it off with my fingernails as it is a nightmare to remove... UNTIL NOW! If water removes water based glue, oil removes oil base glue! A terribly annoying sticky mark left after soaking! Voila! 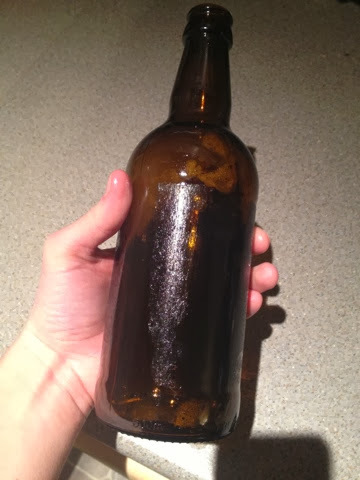 A shiny clean, sticky-free bottle!